Center Place Guest House - Night Bazaar, Chiang Mai, Thailand - Great discounted rates! 7.8 out of 10 based on 14 verified user reviews via Agoda. Stop at Center Place Guest House to discover the wonders of Chiang Mai. Both business travelers and tourists can enjoy the hotel's facilities and services. Free Wi-Fi in all rooms, photocopying, printer, daily housekeeping, taxi service are there for guest's enjoyment. Some of the well-appointed guestrooms feature internet access ?ÛÒ wireless, internet access ?ÛÒ wireless (complimentary), non smoking rooms, air conditioning, desk. The hotel offers various recreational opportunities. Discover all Chiang Mai has to offer by making Center Place Guest House your base. 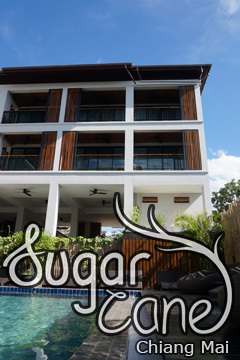 Center Place Guest House - Chiang Mai classifies itself as a 2 star hotel.